China appears to be blocking all access to YouTube. Now, why in the world would it do something like that? I’ve got some theories. 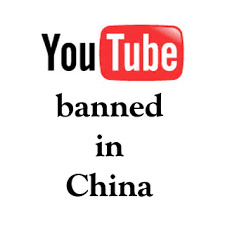 First, though, the facts: YouTube use from China started dropping off the map sometime Monday night, with traffic nearly reaching a standstill by Tuesday morning. Google (which owns YouTube) has confirmed the apparent ban, though its staff is not certain of the cause. “We do not know the reason for the blockage, and we’re working as quickly as possible to restore access to our users in China,” a spokesperson says. Google does believe the Chinese government knowingly cut the access. The spokesperson, however, questions why officials wouldn’t have just blocked a specific video, as they’ve done before, rather than nixing the entire site. YouTube has been banned by other countries as well for allowing users to upload and share videos which foreign governments in Bangladesh, Thailand, Pakistan and Turkey found embarrassing to their political regimes. Google is working to restore access to the site for Chinese citizens. This is not the first instance in which Chinese users have been unable to access the video sharing site. China blocked YouTube during the Tibet riots in March 2008. During that time protesters were burning shops and vehicles in an attempt to protest the Han Chinese influence. The riots left 19 dead. A BigDog robot climbs a hill in a test of its versatility. The U.S. military is deploying the robots to Afghanistan to navigate the country’s treacherous terrain. The U.S. military is calling out the "BigDogs" in addition to its big guns as it deploys more troops to fight terrorists in Afghanistan. The BigDogs — four-legged robots that can navigate the country’s treacherous terrain — and pilotless helicopters than can transport tons of supplies to very remote bases are just two of the new weapons being tested in Afghanistan. The war zone is increasingly becoming a development laboratory for machines that don’t eat, sleep, polish their boots or suffer casualties. But can they succeed where man struggles? It takes a moment for the senses even to comprehend BigDog, a four-legged robot that vaguely resembles a headless pack animal. The machine’s creator, Boston Dynamics, has a motto — “dedicated to the way things move” — and that’s precisely what is both jarring and fascinating about its invention. Using a gasoline engine that emits an eerie lawnmower buzz, BigDog has animal-inspired articulated legs that absorb shock and recycle kinetic energy from one step to the next. Its robot brain, a sophisticated computer, controls locomotion sensors that adapt rapidly to the environment. The entire control system regulates, steers and navigates ground contact. A laser gyroscope keeps BigDog on his metal paws — even when the robot slips, stumbles or is kicked over. Boston Dynamics says BigDog can run as fast as 4 miles per hour, walk slowly, lie down and climb slopes up to 35 degrees. BigDog’s heightened sense can also survey the surrounding terrain and become alert to potential danger. All told, the BigDog bears an uncanny resemblance to a living organic animal and not what it really is: A metal exo-skeleton moved by a hydraulic actuation system designed to carry over 300 pounds of equipment over ice, sand and rocky mountainsides. So much for the ground war. With IED attacks in Afghanistan increasing on land, air transportation has become a major focus for the military. Routine helicopter flights operating 24 hours a day, year round, are crucial for the American mission. The Marine Corps has recently called for unmanned cargo flights to carry essentials to isolated areas that can be reached only by air. Enter the K-MAX, a remote-controlled helicopter designed to transport heavy loads — even in Afghanistan’s high altitudes. The K-MAX’s unique rotor design — two intermeshed rotors turning in opposite directions and slightly angled to prevent the blades from colliding — give this unmanned aircraft a distinct advantage. “All the energy goes into the lift and eliminates the need for the tail rotor,” said Frans Jurgens, spokesman for Kaman Aerospace Corp, which manufactures the K-MAX. The design enables the relatively small chopper to tow up to 6,000 pounds. “The K-MAX is basically an aerial truck,” Jurgens said. A ground controller “pilots” the unmanned aircraft using a “digital tablet” — a portable device the size of a clipboard attached to a backpack. The controller has visual contact with the aircraft during takeoff and can see where the K-MAX is going through a camera attached to the unmanned helicopter. Unlike other unmanned aerial vehicles (UAVs), the K-MAX currently requires some visual contact — ground controllers to launch and retrieve the aircraft. During a flight, K-MAX’s “autonomous flight brain” calculates the best route to its destination and can automatically re-route itself should an area be designated a “no-fly” zone. After launch, control transfers to a second ground controller waiting at the point of capture. Once the K-MAX has been sighted, the destination controller discharges the cargo by remote command. But some in the military remain skeptical that a robot and a distant operator can replace a skilled pilot. “When you’re dealing with a small area and a very small margin of error, mountains, temperatures, and other factors like heavy unpredictable winds, it’s hard to believe unmanned flights could account for all the variables,” Chief Warrant Officer Timothy Smail, a pilot from Eagle Lift, the 7th battallion 101st Aviation Regiment, told FOXNews.com in a phone interview from Afghanistan. But, Jurgens is not concerned. KMAX has never been deployed to a war zone, but the unmanned aircraft has been a robotic workhorse in the logging industry, where it transfers heavy loads at high altitudes. It has also been used to transport water to fight forest fires. They’ll never fully replace actual people, but robots and unmanned vehicles will spare soldiers from routine tasks and enable them to focus their experience and skills on missions that require the human touch. A TEEN boy has died in the US after police used a Taser to break up a fight. Police in Bay City ,Michigan, Tasered the 15-year-old boy after responding to an early morning call to break up a fight between two males in an apartment, Associated Press reports. The teen was Tasered after he "attempted to fight the officers" but his reaction prompted police to immediately call for medics. However the boy was pronounced dead on arrival at Bay Regional Medical Centre. Australia’s Cashless Society – Tap & Go!